This is perhaps my favourite Tequila cocktail of all time. I was going to name it “Swing Time” but then my brilliant girlfriend suggested “Fred & Ginger”. Just like the greatest American dancing-duo, this cocktail is smooth, exciting and timeless. Whilst watching Swing Time add ingredients to tin over cracked ice. Shake & strain into chilled coupe. 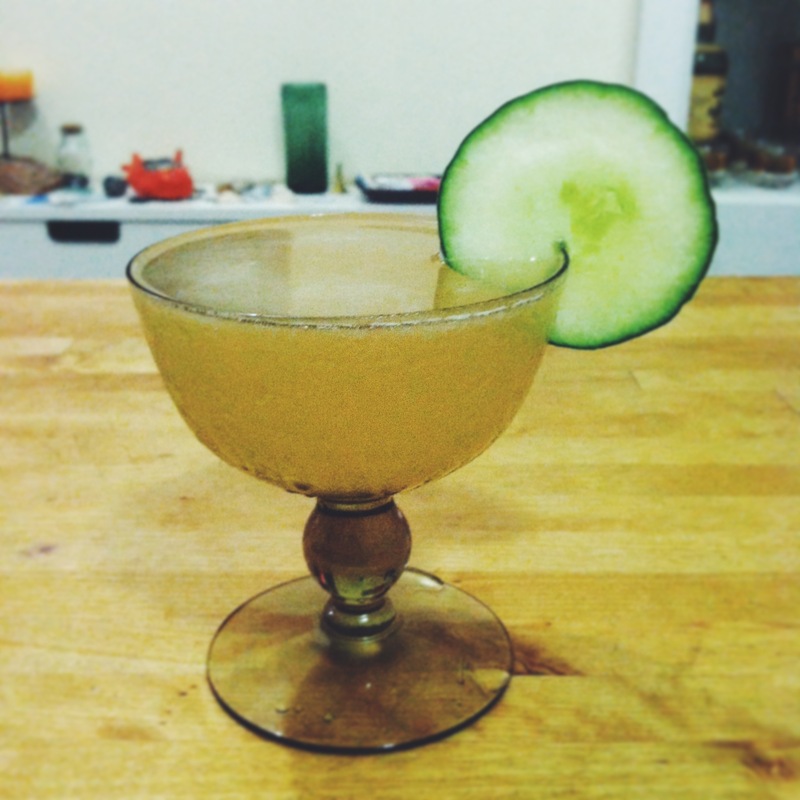 Cucumber wheel garnish.